Keith Thurman becomes WBA and WBC welterweight champions of the world after beating Danny Garcia with a split decision on Saturday night in Brooklyn, New York. This was the first defeat for Garcia who looked very underwhelming in this fight while Keith Thurman set the pace early and won majority of the opening 8 rounds. Garcia did fought better towards the end of the fight and actually won last three rounds largely because Thurman pretty much gave away the last few rounds thinking he already have a good enough lead. However judges scored it as a split decision with [116-112, Thurman], [115-113, Garcia] [115-113, Thurman]. Danny Garcia is set to take on Keith Thurman for the 147 unification bout on Saturday night, 04 March 2017 at the Barclays Center in Brooklyn, New York. WBC and WBA welterweight titles are on the line in what could be defining fight for both boxers careers. The fight is set to be broadcasted live in United States on free-to-air channel CBS. 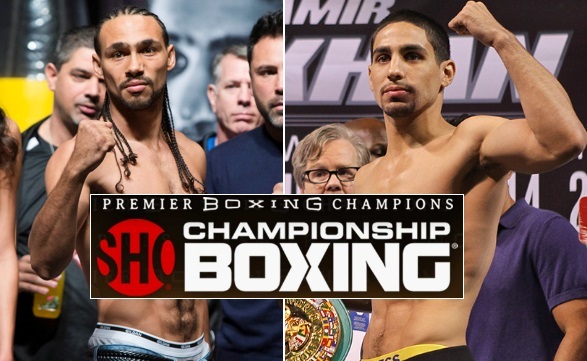 The coverage for fight night starts with the first undercard fight starting at around 09:00 p.m ET while the main-event between Danny Garcia and Keith Thurman won’t start anytime before midnight eastern time. As for the UK based viewers you can watch the fight live on BoxNation starting at 02:00 am uk time in early hours of Sunday morning. Its a wonderful staturday night for boxing fans in UK who will also get Haye vs Bellew earlier in the night which makes it two great back to back boxing cards in same night. 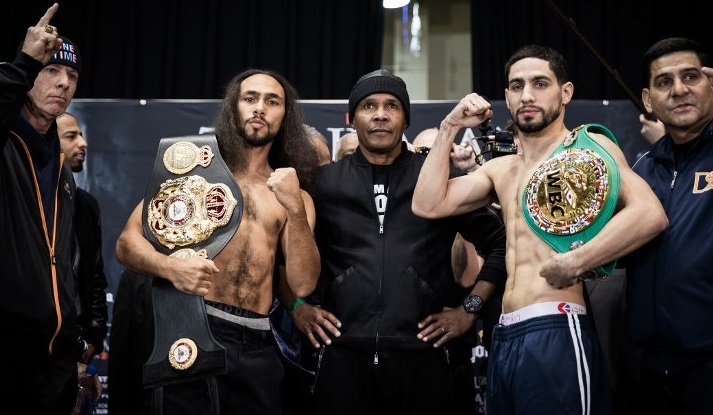 Danny Garcia vs Keith Thurman Official Weigh-in: Unlike the earlier press conference havoc and controversies, the friday night official weighin was pretty smooth to say the least. Danny Garcia came in at 146½ pounds while Keith Thurman who apperently had some weight issues also hit the scale at 146¼ pounds. Both looked in great shape and there was real fire between the two at the last staredown. Danny Garcia weighed in at 146½ while Keith Thurman came in slightly heavier at 146¼ pounds just under the limit of 147. Undercard fights and the main-event: The coverage will start early at 08:00 p.m with couple of non televised preliminary fights. Undercard fights include 1). Mario Barrios v Yardley Suarez 2). Erickson Lubin v Jorge Cota and WBC International female featherweight title fight between Heather Hardy v Edina Kiss. Chad Dawson is also fight against Andrzej Fonfara just before the main-event fight. Its all setup for a grand boxing night and we will be posting live results of both Haye vs Bellew and Danny Garcia vs Keith Thurman. If you don’t have access to live coverage you can always tune in here for highlights and fight results.